One of the things I always want to do year in and year out is to travel. Doesn’t even have to be somewhere outside the country. I just want to travel and see new places and experience new things with my family. I want my kids to experience more instead of collect things (thankfully they prefer to travel more than toys–inception worked well heehee). Every year we would at least have one family trip to serve as a break from our daily routine. I used to dread it because let’s face it, a vacation with family really isn’t a vacation for moms. All the planning and packing can be stressful. But this year I’ve come to appreciate the opportunity to travel with my family, with my young children like never before. I don’t know if it’s the shift in lifestyle (I’m more active now and I feel like I have more energy to give) or the fact that my kids are really growing up too fast that made me enjoy traveling with them. So much so that it’s a first for me to plan 9 months ahead for our next beach trip even before we had our recent trip to the beach last week. Hahaha! Sobrang applicable ang travel #likeneverbefore for me! 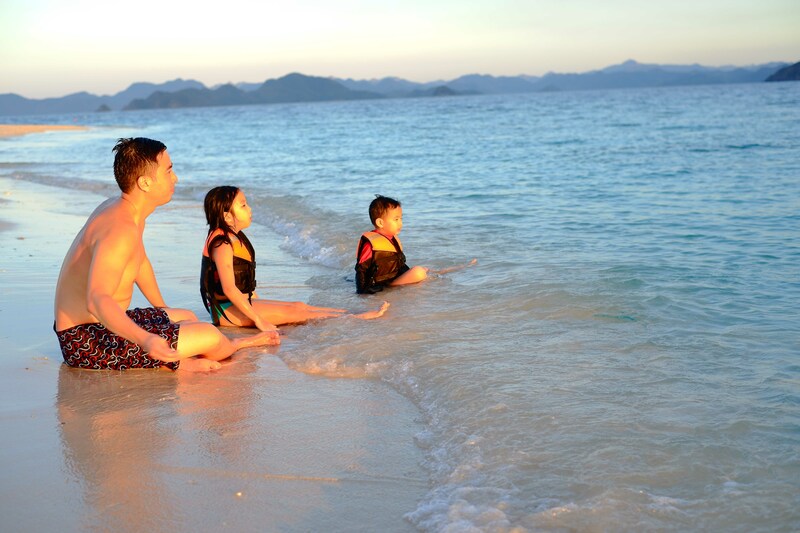 So for Holy Week my family & I went to see Coron, Palawan. A week on the island is enough for all of us to feel recharged yet I still didn’t want to leave. Hahaha. We were literally remotely accessible–our island is 45 minutes away from the port and about 10 minutes away from Busuanga airport –I secretly fear that people won’t be able to reach us in case of an emergency but my fear soon faded when we landed on the island, thankfully Smart has rolled out their nationwide network modernization program and is now seeing faster connections and wider coverage in Metro Manila, Cebu, Davao, CDO, and other parts of the Philippines. I really wanted to go offline that week but I only did so for a day because I heavily relied online for news on what’s happening on the outside world, (LOL feeling part of Survivor naman ako) & stayed in touch with family & friends who were also on vacation on different parts of the world. We didn’t have any TV on our room and the WiFi of the hotel was wonky. Buti na lang talaga Smart got me covered. I even tethered so my kids can watch their favorite YouTube channels. This was my view most of the time while we were in Palawan. The three most important people in my life enjoying the sunset with me. Because of Smart’s fastest LTE connection, I was able to stay updated and share some photos online. I even wrote a quick blog post during our first day on the island to give updates to my readers and I also kept on posting Instagram stories on how beautiful the island is. I was able to watch some of my favorite TV series while I was basking under sun. Also while I was there I watched Smart’s latest TVC which made me cry buckets of tears. As a mom, I can so relate to the video. HUHUHUHUHU. I was hugging my kids shortly after I watched it and guys it didn’t help that I watched it as sun was setting. Ang perfect ng backdrop! This year’s Holy Week break was one of the most memorable one I’ve had in years. 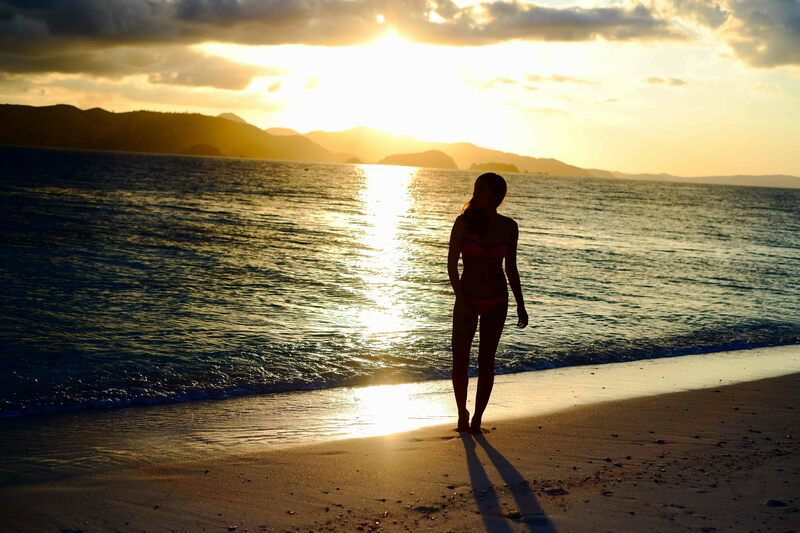 During our stay there I learned the art of doing nothing. For someone who likes to get everything done and relies so much on schedule and timing, I’m glad I had the chance to just stop, breathe, take it all in and enjoy the beauty that surrounds me. Truly I have come to appreciate life, love and my family like never before.